This Easter is going to be an amazing celebration at Access Church. Not only will we celebrate the historic event by which Jesus conquered death on our behalf, but we’ll hear specific stories from some of you at Access whose lives have been personally changed by Christ’s death and resurrection. 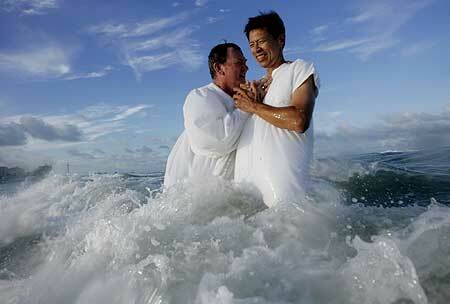 Baptism is a great way of showing others that you have entered into a relationship with Jesus Christ. It is a public declaration of your trust in Christ, and a symbolic representation of what took place in your heart at that time. It’s when you get to tell everyone of your acceptance of Jesus Christ as Lord and Savior. It represents your sharing in His death and resurrection, illustrated by going under the water (dead to our old life), then rising again (new life). In baptism, you are symbolically washed clean, your sins having already been forgiven by His death on the cross. Have you never been publicly baptized as an adult? Would you like to declare your trust in Jesus Christ alone for salvation this Easter? You can go here to learn more and register. We’d love to have you be a part of this amazing day!.